IT'S TIME TO BE ACTIVE! 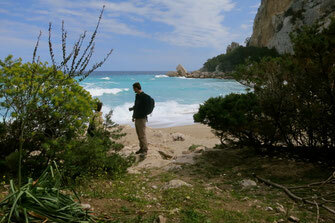 We are located in the central western side of Sardinia, an area still little known by mass tourism. Cradle of the ancient Nuragic civilization, the Oristano region has brought to light important archaeological finds such as the giants of Mont'e Prama, the very first form of statuary art of the entire Mediterranean. 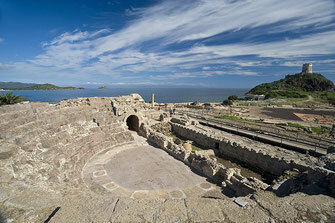 Not just archeology but a generous nature made of deserted islands, quart beaches, lagoons and gentle mountains. A little further north is Bosa with its medieval castle, its colorful districts and the Temo, the only navigable river in Sardinia. Oristano can be reached in just over an hour from Cagliari, from Nuoro and from the western-western side and finally from Alghero. 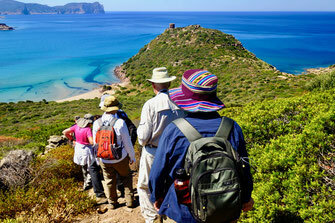 Excellent starting point or arrival equidistant from different areas of Sardinia. The journey can also start from Alghero to go down to Bosa, Oristano and continue towards Cagliari and the south of Sardinia.